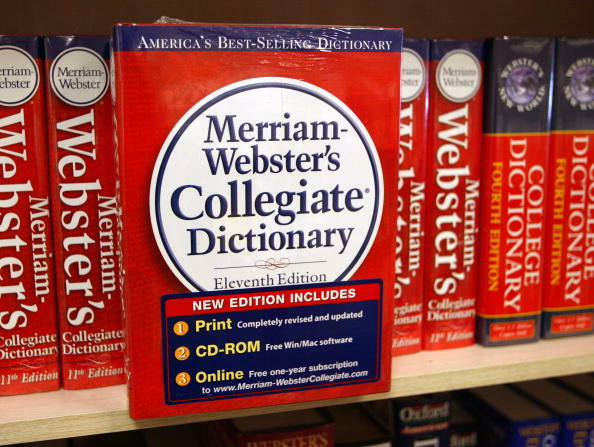 You probably have heard it on the news or read it on-line, that the Merriam-Webster Collegiate Dictionary is adding its annual updated words. Since the English language is referred to as a “living language” where new words are constantly being made and replaced. In order to keep the dictionary up to date with all the newest words, Merriam-Webster adds 100 of the most used words to its edition annually. This year there is quite a controversy on the words chosen for the 2012 update to the dictionary. The hullabaloo surrounds the word F-bomb because of it reference to the four letter F-word. However, Kory Stamper, the associate editor for Merriam-Webster, lobbied for the word based on its usage and history in the daily language. Earworm- meaning a song that gets stuck in your head. Flexitarian –A person who is a vegetarian but sometimes eats meat or fish. It is amazing that so many words that start out as slang terms end up in the dictionary. Do you remember when byte, hard drive, and the Internet were just computer geek words? They, too, eventually made it into the dictionary. It will be interesting to see what words will show up in the 2013 dictionary up-date. Posted in Words of Wisdom and tagged blogging, E-reader, F-Bomb, Grandmother Musings, Man Cave, merriam webster collegiate dictionary, merriam webster dictionary, New Words for 2012, postaday. Bookmark the permalink. Jamie, I believe this is happening in most modern languages. In my native language, Italian, all the street words are making new entries in the dictionary every year. It is very interesting – though disagree with comment above that its happening in other languages. English is an international language that takes new words ”from the street” other, national languages are allocated their words from their language academies. I agree with you – not all languages have that freedom though. English does of course, but languages like French, Russian and Finnish don’t, for example, and have academies that decide on words – and spelling. Its interesting. Not quite. And not incredible. Governments fight to stop the English expansion into their language. Linguistically that is interesting. Hope that clarified it for you.